Born in the medieval village of Confolens (Poitou-Charentes Region), son of a provisieur, Émile was gifted and began school ahead the other boys his age. His father was quite strict which was common for a school principal, but his expectations must have been appropriate for this precocious boy. His father died suddenly when Émile was eight years old. His mother’s death followed closely upon. 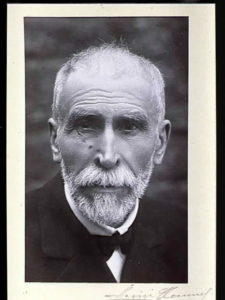 He and his younger brother moved to Aurillac to live with their older sister and her husband, a man who would succeed the late Mr. Roux as principal in Confolens. Life was not easy under this arrangement. The family moved several times as this guardian sought promotions, making it difficult for little Émile not only to adjust to his new schools, but to never be free of his brother-in-law’s authority at home and at school. He excelled none the less. He found solace in classical literature. He read ancient Greek philosophy and always asked himself what he could do to uplift humanity. He was poetic and contemplative to be sure, but he was also adolescent. The tension at home and then the loss of two older brothers in the war against Germany explains why Roux somewhat hastily enlisted in the army. Fortunately the war was over in just a few months but the seventeen year old had to decide whether to return to his family or strike out on his own. He chose the latter and set out for Auvergne to complete his baccalaureate in science. He graduated in 1871 and stayed on at the lycée Clermont-Ferrand as assistant to the professor of physics, who in turn recommended Roux to Mr. Duclaux, professor of chemistry at the medical school of that city, the Faculté de Médecine. In 1872 he began his medical studies at the Faculté while assisting Duclaux in the lab. From Duclaux, Roux learned of the new hypotheses of Louis Pasteur, particularly the studies on fermentation and spontaneous generation. Their relationship went beyond master and pupil. Duclaux was the most influential figure in Roux’s life; his intellectual role-model and his constant companion. In the laboratory of Professor Duclaux, Roux carried out his first serious experiment which was conveyed to Pasteur in Paris and entered into the annals of the Academy of Sciences in 1873. In the summer of 1873, Roux reached a crisis because his finances were running out but he wanted to devote himself entirely to chemistry and microbiology which at that time did not earn a living. He saw only one way out: a scholarship to the École militaire Val-de-Grâce, the premier military hospital in Paris. The army would pay him and he could complete his doctorate in medicine. Once there however, he regretted leaving Duclaux. Military life did not suit him and worst of all, the faculty of Val-de-Grâce ignored Pasteur’s discoveries. Roux began his doctoral thesis on rabies. As this work was still in the early stages, he required much more time but by 1877 he was already five years in medical school and his time had run out. The director ordered Roux to change his thesis to something more sensible, something which could be finished in due time. Roux refused and went so far as to insult the director for his ignorance. This landed him in prison. A few days later he was discharged and turned out on the street without a dime. Roux slept in empty classrooms of various universities, masquerading as an enrolled student, until he struck upon the idea of working at the Hôtel-Dieu. Full of purpose, he secured the position of aide-de-clinique, assistant to the head surgeon. Then he resumed the doctorate program by persuading the administrators of the École de Médicine to ignore the debacle at the military school. He had recovered his steps by the resourcefulness of his mind; but what he could not secure by bold determination, fortune was about to lay at his feet. His master and devoted friend Duclaux was at that moment returning to Paris to lecture at the Institut Agronomique and at the Sorbonne. The two were reunited at last. Duclaux called on Pasteur at the Rue d’Ulm as he was in need of a laboratory. Duclaux appointed Roux to assist him at both the Sorbonne and at the Rue d’Ulm. That is how Roux came into direct contact with Pasteur in 1878. 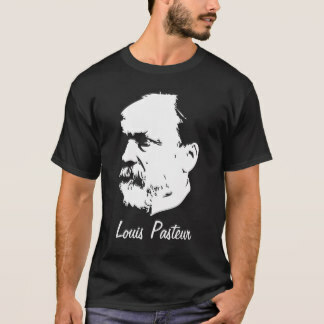 Pasteur was crossing over into the field of pathology. 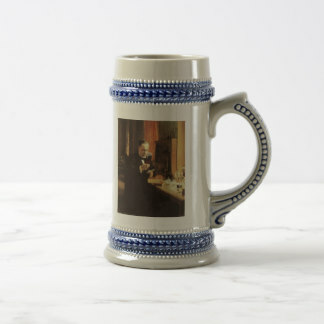 There was at the time a climate of hostility toward Pasteur. Many physicians despised the thought of being corrected by a chemist and some even plotted to seize upon this intruder if he practiced medicine without a license. Therefore, Pasteur requisitioned Roux to be his hands. Duclaux did not object. Roux was the only medically trained man attached to Pasteur so he was essential in legitimizing the claim that germs cause infection and disease in man and animals; yet, as time would show, he was not merely a pair of hands but a true savant, like his master, who he did not always agree with. Together, Charles Chamberland and Émile Roux dove into the study of cholera, anthrax and even the monumental work on rabies. These two men alone prepared the vaccines in the famous experiment at Pouilly-le-Fort and Roux alone carried out the inoculations. 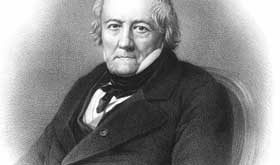 The method of attenuation used for this contest was that of Chamberland and Roux, Pasteur only conceded his method at the last moment. 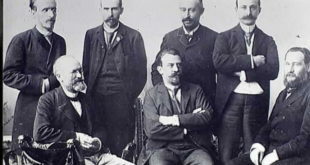 France wished to award Pasteur with the Legion of Honor in 1881 for the success over anthrax but he could not conscionably accept unless Roux and Chamberland received the award with him. They were decorated with the red ribbon. The venerated master took the blue ribbon. In 1883, Roux completed his doctoral thesis, the one he began almost ten years earlier, entitled ‘Des nouvelles acquisitions sur la rage’ (New Insights Concerning Rabies). Later that year, Roux traveled to Egypt at the direction of Pasteur to face the cholera epidemic; but after the death of Louis Thuillier, the French delegation returned home, leaving the work to the Germans who then discovered the vibrion of Asiatic cholera. From 1883 to 1888 Roux’s time was divided between administrative duties and research. He was superintendent of the committee to plan the new facility of the Pasteur Institute, and he organized the first regular classes offered at the Institute. The next important chapter in his life began in 1888 in collaboration with the Swiss born Alexandre Yersin, who he had discovered at the Hôtel-Dieu and invited to the Pasteur Institute. This man was a trained bacteriologist and was a firm adherent of Pasteur’s theories. Their studies drew from the recent discoveries of German pathologists Klebs and Loeffler. The one isolated the bacillus of diphtheria and the other demonstrated that it did in fact cause diphtheria. The next steps were taken by Yersin and Roux who found that this bacillus did not actually enter the blood stream but rather, produced a poison which is the actual disease. This was a powerful breakthrough because they found that filtering the culture of this toxin to remove all the microbes, still led to symptoms and to certain death. Supposing that the culprit was not the bacillus (or spore) of diphtheria but rather the toxin which it produced, opened the way to an antitoxin. That antitoxin was found by another German, named Behring, whose experiments were repeated by Roux in collaboration with Louis Martin. They inoculated horses and found that the white blood cells produced a serum which could resist the toxin. Roux postulated that the body was aroused and adjusted itself to neutralize the poison. Immediately, there was pressure on Roux to treat the children of Paris infected with diphtheria. He administered this serum in small amounts to treat three hundred children, all of whom were saved. Antitoxin serotheropy was one of the most paramount achievements in medicine. It was carried further by Roux, who always acknowledged his debt to Behring. He had to be sure that the true antitoxin was the serum produced by the white blood cells and not a chemical reaction of toxin-antitoxin canceling each other out. He found that injecting animals with both toxin and antitoxins resulted in immunization all the same, and yet, that blood could still pass the toxin to a weaker animal. Thus Roux demonstrated that the toxin is always present and never chemically changed, and that the body accustoms itself to the threat, continually producing the antitoxin serum. This dynamic effect was the immune system, just then beginning to be realized. Roux pressed on with his peers, all the while lecturing and writing reports. Over time, his administrative duties at the Pasteur Institute overtook his research, but there were many capable men around him. Upon the death of his dear friend and mentor, Roux succeeded Duclaux as director in 1904. His regime at the Institute was considered austere. That was a pattern begun by Duclaux and Pasteur himself, when everything was sacrificed for results. These great men built the Institute upon hard work and it paid off. 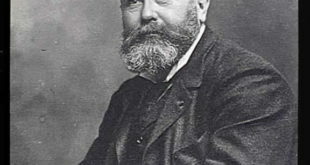 Roux won many awards in his life time, always insisting that the prize money be donated to the Institute saying, “If you have something to give away, bring it to Pasteur Institute; in this way you may be instrumental in saving other lives.” Roux also raised funds from philanthropists and sought government aid to spread the Pasteur Institute across the globe, first to Lille in 1899, then in the early 20th century to Tunis, Ho Chi Minh and beyond. Today there are twenty-three satellite offices. During the war years, Roux organized laboratories for the French Army consisting of bacteriologists and chemists. These were thought of as a front line defense against disease spreading through the camps. His commitment to public health was nearly matchless. Much of the medical world was under his purview: the League of the Red Cross, the Congress of Surgery and the International Congress for Hygiene. In 1917 Roux was awarded the Copley medal, the most prestigious medal of the British Royal Society, an institution which inducted him as honorary foreign member three years earlier. He had numerous contacts in the French government. His acumen for garnering support went far beyond the Pasteur Institute. He interceded on behalf of the Curies to establish first a pavilion (annex building) and later the Radium Institute. Roux was a personal friend and admirer of Madame Curie and he was influential in her decision to stay in Paris.